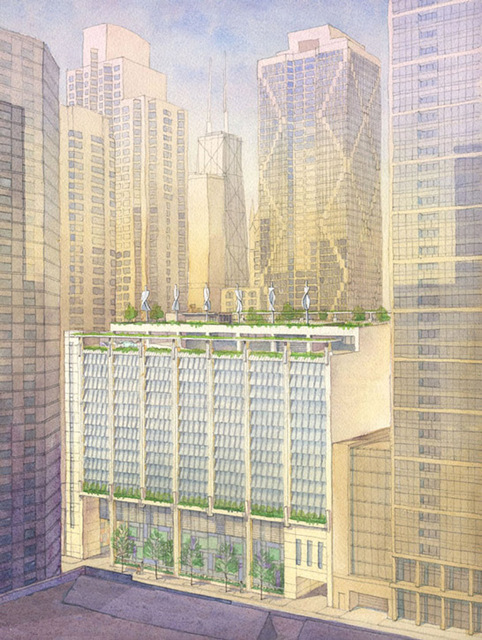 GREEN ROOF ALERT for a small, tucked away fire station in Streeterville! This is a prime example of how even the smallest of places can make a difference when they incorporate a green roof into the structure. This fire station is just Southeast of the Museum of Contemporary Art on Chicago Avenue. Anyone know what I’m talking about? 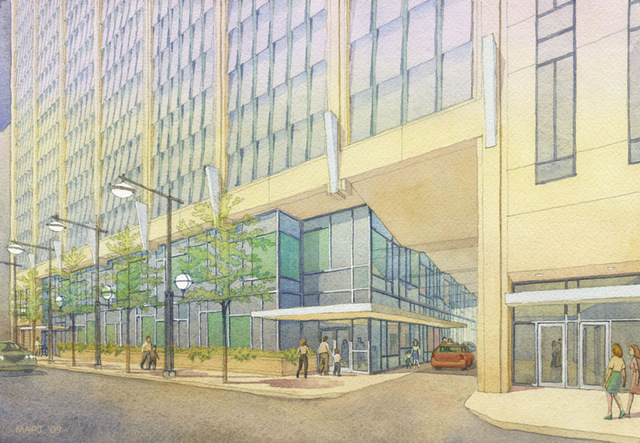 Massive empty lots = massive potential for Northwestern Memorial Hospital and Streeterville! Another picture taken from Onterie Center’s rooftop deck shows two massive lots that have been cleared of their old, historic buildings. A previous post talked about what will take place on the empty lot to the left so check the post out by clicking HERE! GREEN ROOF ALERT! Streeter Place in, you guessed it, Streeterville. If you can’t tell, I’m enjoying myself with these green roof posts. This green roof comes from Streeter Place, a new construction apartment building in Chicago’s Streeterville neighborhood. Streeter Place, located at 355 E. Ohio Street, is right next door to its sister apartment building called The Streeter. I have been inside two apartments in The Streeter and I was impressed with what I saw. Both buildings are finished with green roofs, a lot of beautiful landscaping, and brick pavers which is great at preventing excessive water runoff. Thank you to “Chiman” from Skyscrapercity for the first picture. GREEN ROOF ALERT! Belgravia Group’s 600 N. Lakeshore Drive! I’m a huge fan of green roofs from the planning process, the installation of materials, and I love most when the plantings mature. This green roof is on top of the parking garage of 600 N. Lakeshore Drive, a very successful condominium building developed by Belgravia Group. 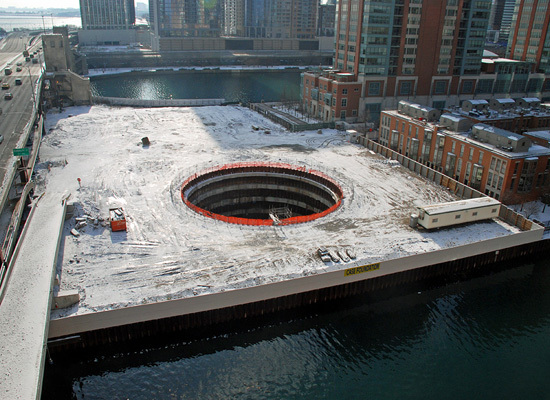 In case you couldn’t guess, the building is located at 600 N. Lakeshore Drive. Go check out their sales center, open 7 days a week from 10am – 6pm, or give them a call at 312-730-4849. A big thanks goes out to ‘Chiman,’ a Skyscrapercity user, for the first two pictures.